Looking for us? We moved! Its been a wish of ours for quite sometime to have a website that is completely devoted to development in the Duluth area. A site that is easily orientated so that you can quickly follow the projects you take an interest in without having to dig and search for your desired information. This wish we have had is a wish that finally has come true as we celebrate cdinduluth's 2nd birthday. We've officially launched a website that has given cdinduluth not only a new identity to call it's own, but more so important...a home. We decided to make a bit of an upgrade this year! Ushering in with the new year is a new us! We've been rebranded, reimagined, and recreated in ways that we feel will allow our followers and visitors to interact with us. We hope that this site will better suite not only our needs, but the needs of those who follow us and our the developments we track. This website is just the start of a new year for cdinduluth. Keep checking back as things will be constantly be changing, updating, and being refreshed on our website. It's a work in progress, an almost beta like version of what we hope will be a very successful future for cdinduluth. Throughout the year we will continue to update the website with new features in order to better organize and display the amount of information contained here. Projects are constantly being introduced, updated and completed; we feel that the new format of our website will allow you to better engage and track those developments. Feel free to take a look around and even more so feel free to drop us a message in our Let's Talk section. We're all ears for progress! Once again, thank you for taking the leap with us and for following us to our new website. If you haven't had a chance to like our facebook page, please click the facebook icon on the lower right hand side of our new home page to stay up to date with the most recent development news in the Duluth area! Click here to visit out new home! The long discussion of when and where Members Cooperative Credit Union will build their new branch in the Miller Hill Mall area is finally being solidified this week. Plans are going forward to the Duluth Planning Commission for the rezoning of a site in order to make way for a new branch to be constructed at 609 West Central Entrance. That's the site located in front of Cub Foods that currently houses a shuttered Midas Auto Repair shop. Midas had been in search for a new franchisee to take over the location for over a year now, with those plans never being fulfilled the site was up for grabs for new development. The Midas building will be razed to make way for a new 4,900 square foot, one story branch to be constructed on site. The design of the building will be far different from the location in Duluth's Spirit Valley. It will however feature three drive through lanes for the ease of access for it's customers, a convenience not found at their current Miller Hill area location. 19 parking spots will be included on site, 12 for customers, seven for their employees. The site redevelopment will also include a sidewalk to the front and left side of the site which will be in compliance with the future sidewalk to city plans to install on Central Entrance. It was long rumored that the new branch was to be constructed in the parking lot in front of Shopko, an outlot site had been marketed for development for many years, a site that Members Cooperative had apparently been in negotiations for for quite some time. The Midas site however features much better exposure and far easier access for Member Cooperative's customers as it is tucked right up next to Central Entrance. Our view. This will do wonders for this area. Residence Inn really set a momentum of new development in a portion of Central Entrance that had remained stagnant development wise for much of the last decade. The Midas building itself was beginning to look run down and did not attract much business with it's direct competitor, Tires Plus, located next door. We think that this branch hopefully will continue to solidify greater development in this sector of the Miller Hill Mall area. There still is an out lot available ideally for a retail store/center or restaurant to be developed to the right of the Residence Inn project, along with a few acres of land directly across the road available for commercial development. The city's future plans for this area see a live,work, play community that features a combination of retail space and residential dwellings in buildings directly abutting Central Entrance. The hope is to make a walkable community. If that plan can come to fruition it would create quite the entrance to Duluth's largest and most successful retail district. Duluth Trading Company to finally call Duluth... well... home. You'd think a company that originated out of Duluth and even bears the city's name in its name would have a retail presence here. Well... guess again. Duluth Trading Company is that company, for the moment, that was started in Duluth in 1989 and still has yet to have a physical retail store within the city. If you're not familiar with the company, we don't blame you. The have a curtailed clientele we'd say. They largely go under the radar because business actually is going so well for them that they truthfully don't need much advertising. So what exactly are they? As mentioned before, the company started in 1989 in Duluth.... and well... instead of us explaining the story to you, Duluth Trading Co. has actually created a rather savvy and unique graphic to explain their history. We put it below for your own enjoyment. After all, who doesn't like learning from pictures? For those who enjoy a condensed down version of their history in words... we've got you covered. In 1989 two Duluthians who happened to be brothers created "The Bucket Boss", a durable canvas tool organizer that could fit on a drywall bucket... making the lives for construction not only easier, but cleaner. The kept designing products and soon came out with a catalogue called "Portable Products." The catalogue consisted of eight pages and was purely built for expanding the traditional ways of tool organization. What we personally love about Duluth Trading Co. are the qwirky, and well done we might add, images that cover each advertisement and catalogue. They truthfully define the image of Duluth Trading Co. The man who does them goes by the name of Rick and is a close friend of the two brothers and still is the creative sole behind their marketing today. What's unique about the origins of this company is that their first official headquarters was actually a refurbished barge on the waterfront of Lake Superior. Now that's what we call creative. In 1993 the brothers decided to expand their product line, resulting in their company being renamed "Duluth Trading." Every single product produced by the company was designed and tested by tradesmen. The company changed hands and the next product to rise to success, a product that put Duluth Trading Co. on the map, was the creation of the Longtail T Shirt. That's right, the t-shirt with an extra three inches of fabric to cover up the plumbers... well... ya know. It solved the dilemma that seemed to plague plumbers for decades. Today their headquarters are found in Bellevue, Wisconsin where they have a 140,000 square foot warehouse and a state of the art call center. The company even introduced women's clothing in 2005 for those women who desired workwear that could meet their standards of work. No more flimsy wear. And yes, the women's wear is tested by real woman too and even accounts for 20 percent of the business! In fact the first women who ever saw the women's line of products were those women who lived in Duluth. They were the first to receive the catalogue with women's wear! Today the company has four retail locations. There is a flagship store in Mount Horeb, Wisconsin, along with a historic waterfront location in Port Washington, Wisconsin, and there's even an outlet store in Belleville, Wisconsin. But hey! Where are the Minnesota stores? After all, didn't this company start in Minnesota? Just last year Duluth Trading Co. celebrated the opening of it's first Minnesota location in Bloomington, MN. And no, it's not in the Mall of America, rather it's a few miles away at the bustling corner of 98th and Lyndale Avenue. And boy is this store big, to be honest, this technically is the new flagship location as it boasts over 14,000 square feet of retail space (Mall of America size mentality rubbing off??). That's a whole lot of space devoted to crafty products. That still left the question though as to when in the world this company would make it's way back home. The answer is this spring. Duluth Trading Co. has officially announced that after almost 25 years in business they will finally call Duluth home. A lease has been signed for a historic location in downtown Duluth in the bustling and thriving theater and arts district on Eastern Superior Street. We couldn't have picked a better location for them. They particularly liked the Woodrush Building due to it's historic characteristics. Tall ceilings, tall windows, and a brick facade, all on a bustling corner and in close proximity to Duluth's tourist destination; Canal Park. Where could there be a better location? Apparently Duluth Trading Co. had been in search for a site to call home within Duluth for the last six months, but had actually had plans for a Duluth store for quite some time now. The space they will call home is a 7,000 square foot shop, similar in size to all their Wisconsin locations, in the 99 year old Woodrush building in the 300 block of East Superior Street. Executives felt that Duluth was finally the right move after the sheer success seen at it's Bloomington, MN location. That location in fact is doing so well that they are looking to add another Twin Cities location soon. Here's why this company is great news for Duluth. First off, it's always great to have a Duluth company make a firm commitment by literally stamping their footprint of approval on the city with a retail presence. It further establishes their belief in the city and makes the city unique in it's retail offerings to both tourists and residents alike. We pride ourselves on locality and what makes Duluth unique; the people who live, work, and call this place home. Another great thing about Duluth Trading Co.'s store is that they will be filling a vacant space that really has never been used to it's full potential. From the day the building was renovated in the late 2000's, we always imagined some type of retail or restaurant filling the space. For a while the was a rumor that Hooter's even was interested in the location, but sadly we never saw anything retail or restaurant related enter the space. It was home to various tenants such as Charter Communications, an Obama Office during the elections, the company 50 Below, and others; yet, the building was craving a retail tenant. Sitting directly across from the Sheraton, kiddie corner to the Greysolon Plaza and a mere block down the road from the bustling restaurants of Zeitgeist Arts Cafe and Tycoons Ale House, the space was always destined for more. Finally the space will have the tenant it deserves. What is the best news out of this whole deal is the fact that this will solidify the future of this area, not that it hadn't already been. Having a high profile destination retailer in the area like Duluth Trading Co, there will only be an increase in demand for retail space by other corporations in the area. This new retail store could in fact spurn a surge of retail development in the area of retailers who are hoping to feed off the traffic and success of Duluth Trading Co.'s retail store. So here ends our lengthy article on the official announcement that Duluth Trading Co. will be calling Duluth home this coming Spring. We hope we've answered all your questions and ultimately hope that we have created a sense of excitement within you. Spread the word. Build momentum. And let's usher in Duluth Trading Co. with wide open Duluthian arms! Dunkin' Donuts looking to enter Duluth market. Yes. You read that title correctly. Your donut craving eyes and stomach have not caused you to hallucinate, but rather to see reality. Quite possibly the most famous donut and coffee chain in the entire country, even the world, is looking to enter the Duluth market... and it could all be yours. Yes. You could be the one responsible for bringing Dunkin' Donuts to Duluth. It was reported in 2008 that Dunkin' Donuts was looking to enter the Minnesota market, but plans seemed to fail without an aggressive approach and no interest from investors. The company had closed their last Minnesota store in the early 2000's. The talk that resumed in 2008 that there was a revival in the near future for the Dunkin' Donuts chain caused excitement in what seemed to be every corner of Minnesota. Dunkin' Donuts was looking now to gain control of the market directly after Krispy Kreme's departure in 2008 and Minnesotans were hungry for donuts in a virtually donut less environment. Then the recession hit hard and it's now been almost six years that we have still been searching, stomaches grumbling, for that delicious donut to fill our sweet tooth. News recently broke out that the company is once again quickly looking to enter the Minnesota market. However, plans have changed, and boy have they changed for the better for us Duluthians! Dunkin Donuts has established that the Twin Cities market along with the Duluth market are where they desire to open their first Minnesota stores. They are looking for 10 franchisees in Minneapolis and for as many as five franchisees for the Duluth market. Yes people. This town could soon be home to five Dunkin' Donuts locations. But there is a catch. They need your help. Send them sources for investors! Talk to your friends and coax them into wanting to own a delicious donut and coffee emporium. You'll do us all a favor. That's the way you'll see your favorite donut shop popping up on the corner. So whats the big deal about Dunkin' Donuts? People seem to obsess over it. You mention the double d's and it's practically as if people faint to the floor. Their a little like Walgreens when it comes to their expansion plans in larger cities... you'll find one on every corner... maybe sometimes even two to a block. Their ambitious in their plans and they have reason to be as they are... well... basically glorified by the masses. It's the fact that the company is a double whammy when it comes to sales. It's not just the fact that they have delicious donuts... it's the fact that they have the delicious coffee to go along with it too. It's created great success for the company. 1950 marked the birth year of Dunkin' Donuts, today they have over 15,000 locations in 37 different countries. Their menu seems to continue to expand with each new year, now including over 1,000 items. Now what exactly does it take to open an iconic shop like Dunkin' Donuts? Well... continue reading and we'll tell you. Feast your eyes on the process. First you need to select an available market, good news for you is that not only is Minnesota an available market, but you have over 85 available counties to choose from. If you're looking to open shop in Houston or Winona county... your luck has run dry as those are already reserved. The interesting thing is that St. Louis County is the only county marked for future growth. Special treatment? We think so. The company must have changed plans recently and have yet to update their website. The next step in the process of owning your dream donut shop is to have experience. No, you do not have to have owned a Dunkin Donuts before in your life, but food service, or retail management is a plus. Third... you've got to have a passion for the donuts. You must live by the donut ways and dedicate yourself to serving not only the perfect donut, but also that delicious cup of coffee to go right be side it. Lastly, you've got to have the moolah... we're talking about a good amount of money here people. Requirements will vary depending on your market, but the lowest is that of $250,000 in minimum liquid assets and $500,000 minimum net worth per unit (store). Start saving those dollar bills now, it all will count eventually. After reading the above statements, we know what your thinking to yourself. "It's funny. I happen to live in Duluth, love donuts... actually glorify them, and happen to have ohh... $250k sitting around." Well then, we think a match was just made in donut heaven... and you're in luck. Dunkin Donuts will hold a Minnesota conference for potential investors on January 21st. We think it's in your best interest to attend. Just imagine... driving up that steep hill past Spirit Mountain with thousands of Dunkin' Donuts fans cheering you on from the sidelines of the freeway... shouting your name. Now we can't guarantee that type of send off, but we can do our best to try. So long story short, encourage your neighbors, friends, and family members, to look at opening a Dunkin Donuts in the Duluth area. They'd do us all a great favor and we'd be eternally thankful. Heck, why not get your kids in on the deal. I mean really... what kid is going to deny you their allowance for endless donuts? Point. Made. It looks like lately it's been time for an update for most retailers in the city. It seems as if with the surge of new names entering the market that tenants that have called Duluth home for many years now are taking the time to spruce things up. Duluth welcomed one of Taco Bell's very first locations of its new prototype last year. Taco Bell completed an extensive remodel at its 1031 W. Central Entrance location, a location that had been open for almost 20 years with no update whatsoever occuring. Patrons will be pleased with the new location, a remodel that had been in the works since the early 2000's. Sporting a very modern look, complete with glowing LED panels covering the facade, no more is there the bright orange southwestern look of Taco Bell's past, rather a clearly modern image has been introduced to give the chain new life. Look for not one, but two Kwik Trip locations to begin construction soon in Duluth. That is if they're approved by the city of Duluth planning commission. What may be most surprising about the two locations is that they are a mere mile and a half apart. That's right. A mile and a half. As it's been mentioned before, Kwik Trip really likes to secure a market when they make their first presence. Rochester alone has over 12 locations, and they are continuing to expand. We posted a few weeks ago about the first planned location at 4219 Grand Avenue where there currently is a vacant church and a vacant gas station. Those plans are correct in the fact that Kwik Trip will bulldoze all structures on site and build Duluth's first official location there. What we failed to catch onto was the fact that there was an additional location, on an almost identical site (which may be the reason for such a quick development of the second site) a short distance away. The second Kwik Trip location is planed for 2716 West Superior Street. That's a site that currently houses North West Plow and Auto company. If you still can't quite figure out where we are talking about, think the site that's across from Quizno's and Little Caesars near the Post Office. Both sites will be going before the City of Duluth's planning commission in the coming weeks for approval.Construction could begin this winter still, with an opening occurring in early summer. Don't forget there also are two locations planned for Superior (with a third under development), with two other locations rumored for the Duluth area. The only area that seems to be lacking plans for a Kwik Trip is the Miller Hill mall area. We can only assume those plans are somewhere in the works. Here's our two cents on this. We think it couldn't be better news for both areas. Kwik Trip really is making an effort to take sites that are currently underutilized or are in poor shape regarding the structures on site and really turn them around into something positive. Yeah, we understand that when it comes down to the grand scheme of things, it's still a convenience store and gas station, BUT, things could be worse. You could have a fast food giant such as McDonald's setting up shop on each of these corners. The one that we really are excited about is the Superior Street location. That area really hasn't seen much development within the last decade at all. The site that Kwik Trip will be occupying really is need of an update and we think something fresh will do wonders for the whole image of the neighborhood. People also need to remember that Kwik Trip is known also for their almost market type offerings within their convenience stores and often are really liked by the communities in which they locate. So what could be so bad about another shop in the neighborhood offering milk, butter, and eggs for an insanely cheap price? This time we'd like to hear from you! Feel free to fill out the contact form below (don't worry, we won't send you spam) with suggestions for new articles, comments about the blog, tips on new coming developments... really, anything you'd like! We're hear to listen and here to work for you! News broke this past year that Kwik Trip was planning on making a rather extensive leap into the area. The La Crosse, Wisconsin based company has aggressive plans for the Northland... where it says it could add 12 stores alone in the Twin Ports. Kwik Trip announced last year that it had plans for two stores in Superior; one on Tower Avenue and North 28th Street and another on the corner of Banks Avenue and Belknap Street. Another location was added to their development plans this past year at the site of Nemadji Travel Plaza, which will be completely razed to allow for construction of the new store. Demolition has already begun at some of these sites, but no official construction on physical store structures will begin until the spring of 2014. But how does this relate to Duluth? Well, there's been quite a few rumors swirling around about where the first Kwik Trip might open. Duluth itself actually has three locations that are almost set in stone that will be developed for new Kwik Trip locations. 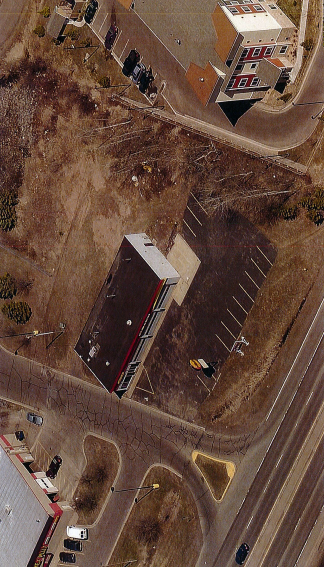 We reported that the Burger King on London Road in East Duluth is slated to be razed in order to make way for a new Kwik Trip. Although official plans have yet to be presented, we have sources that confirm that this is still the goal for the site. As with many companies expansion plans for Duluth, Kwik Trip is hoping to establish a location in each of the three major areas of Duluth (West, East, and the Miller Hill area) all by the end of 2014. The other location that has been added to the rumor mill recently is that Kwik Trip will be constructing a location up the Miller Trunk Highway (actually in Hermantown) in front of the new Sugar Maple Crossings retail center that was recently completed. That's the center that will be housing the first Dickey's BBQ restaurant in the area and already houses Crossfit Duluth and Fastel. We're looking into this rumor more and will hopefully have news on it soon. What we really are here to report today is the specific location that Kwik Trip will present to the Duluth Planning Commission this next week for their first official Duluth location. As the trend continues with retailers entering the Duluth market, Kwik Trip is planning on setting up shop in West Duluth on Grand Avenue. The site (outlined above) is situated between 43rd Avenue W and 42nd Avenue W and currently is home to Christ Lutheran Church and a vacant gas station. The church is looking to sell due to a smaller congregation and no longer having the need for such a large space. Kwik Trip plans to raze everything on the entire block up to the alleyway and construct their first Duluth location if rezoning and the plans are approved by the city of Duluth. If you still can't pin point where this site is, it's right across Essentia Health's West Duluth campus. We'll look into finding the specific details about the development of Kwik Trip's first Duluth location and will be sure to bring them right here to cdinduluth as soon as we find out. Until then, the Twin Ports can begin preparations to welcome potentially SIX Kwik Trip locations to the area. It's official. After years and years of Duluthians wishing, hoping, dreaming, even pleading with two specific burrito joints about coming to Duluth... the prayers have been answered. Those petitions have not gone unnoticed! We reported last month that Chipotle planned to construct a store at the Miller Hill Mall and we can officially say today that our word was true (as we always try to be). Original rumors were that Chipotle was going to build a free standing location in the malls front parking lot, however the exact location within (or outside) the Miller Hill Mall still has yet to be announced. Chipotle officials have confirmed that the Miller Hill Mall location will open in March 2014. This comes just a day after Chipotle's competition Qdoba announced that they too are opening a restaurant in the Duluth area in 2014. It looks like there's about to be a burrito showdown in the Twin Ports... but let's be honest, that's never a bad thing. With work just beginning on their second location in Duluth (at the Shops at Bluestone), SportClips has already laid down plans and has a lease in order for their third location in Duluth. Like most logical expansions in the Duluth area, companies try to get each of the three quadrants of the city covered (West, East, and Miller Hill). Naturally with the Miller Hill area being the last territory FOR SportClips to cover, that's where they have plans to open their third location! SportClips will open this winter in the space that formerly was occupied by Great American Bar and Grill. Yes, that's the space where Noodles and Company graced Duluth with their presence last year. The rest of the retail space available next to Noodles and Company was rumored to be leased out to a mongolian grill for a while, however those plans clearly fell through. Next rumored was the fact that Chipotle was going to open up in the space, but as we learned a few weeks ago, Chipotle supposedly has plans to construct a free standing location within the malls parking lot. With the space still being vacant, SportClips scooped up the prime spot and will open on the far right hand side of the space, nearest to Five Guys. Obviously expect a rebuild of both the interior and exterior spaces for SportClips new location. As for what will fill the remaining space between Noodles and Company and SportClips... we have yet to know! As always, we'll keep you updated! It's 150% official, an associate for Sephora says, that Duluth finally will be graced with the presence of the Sephora brand later this year. While the brand won't be opening an official stand alone Sephora store, they will be almost there with a location that will open inside JCPenney's at the Miller Hill Mall. If you're unaware of the Sephora brand, you might want to take a seat while we describe to you the company that is taking the U.S. by storm. Entering the U.S. market in 1998, Sephora now has over 1,700 locations in over 30 countries wordwide. The average Sephora store carries over 100 different brands, including their own Sephora brand. But it's not just cosmetics we are talking about here. Oh no. They carry a whole slew of things. We're talking about haircare, skincare, body products, fragrances, color, and of course, makeup. Sephora locations quite possibly could be best known for are their extensive lines of perfume and colognes that they carry. And yes, they carry products for men too! So now let's explain how Sephora could possibly enter the Duluth market.... without having an actual stand alone store. In October of 2006 Sephora began opening stores within JCPenny's across the country. While these locations within JCPenney carry a lot of the same makeup, skincare, and fragrances as the typical stand alone stores, they also carry some products that cannot be found in a traditional Sephora store. Currently there are almost 400 Sephora locations in various JCPenney stores across the country. Now just because these locations aren't a stand alone Sephora, that doesn't mean that you're going to miss out on the Sephora experience. What happens is basically an entire (smaller) Sephora location is literally built within JCPenney. You'll feel as if you've walked into a Sephora location.... while still remaining inside JCPenney. It's a win win for both corporations and goes along with JCPenney's "shop within a shop" concept that they have been rolling out in various locations across the country. Below you'll find a gallery of Sephora stores within JCPenney. That grumble that's been in your stomach... it's about to filled! What in the world could fill the 1,000's of grumbles coming from the empty stomachs of Duluthian's for years now? Well. It's a place we're pretty sure every Duluthian has been wishing, hoping, praying, and even trying to persuade with money, to open in the area. Yes. This is the post. Yes. Chipotle has finally put Duluth on their expansion map. We've been hearing rumors for the last couple of years that Chipotle was planning to enter the Duluth market with a location near the Miller Hill Mall. That seems to be the safest area for a new restaurant or retailer to enter the Duluth market we've all learned in the past few years. It's often said that whenever a Noodles and Company opens up, a Panera Bread and Chipotle are soon to follow. It's like they are a set of triplets, obviously not identical, rather fraternal... if that's even possible in the world of food. Noodles opened its first Duluth location last year, with Panera Bread officially announcing its first Duluth location this past spring (which is under construction right now), and if the timing is right (which we feel that this might be for real this time) Chipotle should be announcing something within the next two months. On a side note pertaining to Noodles and Company... they're doing well. As in extremely well. As in one of the top performing locations in the country. As in we are beginning to hear talks of another location opening in the area. What's better than one Noodles? Two. Duh. But back to the deliciousness of Chipotle. Where, oh where, could this jewel of an eatery be going? We've basically heard every possible location in the city over the past few years. From West Duluth to East Duluth, Canal Park to Superior Street, the airport area, to even the food court. Over time we've been able to come in close contact with various sources... and our most recent source maybe the most verified relayer of Chipotle information that we have ever encountered. So you probably are curious as to where this is going? "Cut to the chase already" is probably what you're chanting. Calm down... and let your eyes feast on the words below. Sources are beginning to confirm that Chipotle plans to open at the Miller Hill Mall in late 2014 / early 2015. What is surprising about this news is that they are not planning on opening in the most logical spot. The spot we're referring to is the vacant space next to Noodles and Company. No, apparently the mall still is in negotiations on a lease for that space (we're not sure if it's still a Mongolian Grill joint as they had originally spoken of). Instead Chipotle wants a 100% custom built location, which probably makes sense as Duluthians have been waiting what seems to be a lifetime for the mexican grill chain to make its way north. After all, they do have over 40 locations in Minnesota. It's about time they share the love. What sources are saying is that Chipotle will soon be presenting plans to the Duluth Planning Commission for a new free standing building to built in the front parking lot of the Miller Hill Mall. Sources have said that they location would be built in existing parking area to the left of Pioneer Bank. This is still a developing topic obviously, but we are happy to say that we actually feel quite confident in this news. As with any news (we try to bring you the first retail development news always) there are small chances that something could go wrong. However, the sources we are dealing with are saying that this will be verified in the next two months and an official announcement will come soon. Great news , right? We think so (and so do our bellies). It gets better. What our sources also confirmed is that Chipotle really is excited to come to Duluth. As in extremely excited. They know the city will welcome Chipotle with wide open burrito loving arms and that's why they've already started floating plans for a second Duluth location. Can you guess where? Eh, let's just make it one Chipotle post and tell you right now! After what has seemed to be a year of speculation about this site, sources are confirming that Chipotle is eyeing a space within the Shops at Bluestone (the retail component that will be constructed in front of the recently constructed Bluestone Lofts off of Woodland Avenue in 2014/15). The area is a big draw for Chipotle obviously due to the high population of college students, many which come from a place that already has a Chipotle location. So needless to say, they're hungry. The second location's details are a little more fuzzy and have yet to be confirmed. However, we will keep it on our radar and be sure to post whatever updates we can. As always, we'll make sure to bring the first news on Chipotle whenever we can get the details right here to cdinduluth! Until then... start working on those belly exercises to expand those stomachs.... because behemoth burritos are coming to town. And we're back! It's been far too long since we last posted and we think that's a problem... That's why... you guessed it... a post is on its way to the comforts of your computer screen ! It's some rather exciting news. No really. It's pretty much the post that many lovers of this "place" have been waiting for years. Check back soon! Until then, let your mind run wild and your hands get clammy with anticipation!